Barber Supply is proud to be your #1 source for Professional Barber Supplies online. 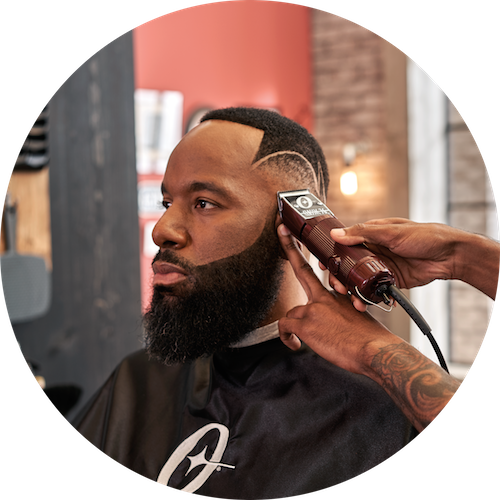 We understand the needs of the professional barber to own the best tools so that they are able to build their craft and provide the best possible service to their customers. We offer high-quality barber supply products, which includes time-tested brands such as Andis, Babyliss, Oster, and WAHL, at unbeatable prices with free shipping on all orders with no order minimums! Most orders will ship the same day and will be delivered within 1 to 4 business days. Our products come with a full manufacturer's warranty! #1 SOURCE for Barber Supplies! BEST PRICES - We Offer the Best Prices! FREE SHIPPING on all orders - No Minimum Requirements! FAST SHIPPING - Orders Delivered in 1-4 Business Days. NO SALES TAX IN MOST STATES Sales tax is collected in GA, CA, IL, MI, NJ, NC, MD, & WA. Note: Taxes will be removed after filling out address with states not listed. POSITIVE SHOPPING EXPERIENCE at Barber Supply recognized via inclusion in Google Trusted Stores program.